Artists: Adichanallor Anil,M.S. Lavannya , Suddha Ranjit, Rafique Khan,Malarmai Jayan Anjana, Devika,and Uma. 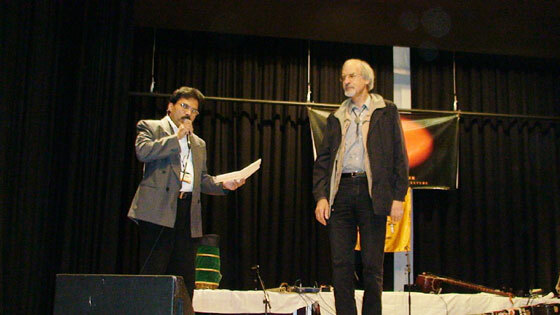 It was another opportunity for Keli , a social and cultural organization of Indians in Switzerland to stage Carnatic and Hindustani jagalbandi of Soorya Krishnamoorthy in Windisch , Argau state ,Switzerland . The programme lasted two hours with instrumental fusion of Ustad Rafiq Khan, sitar, Mridangam by Adichanalloor Anil, M.S. Lavanya on saxophone, Malamari Jayan with Tabla,and Sudha Ranjit , vocal . 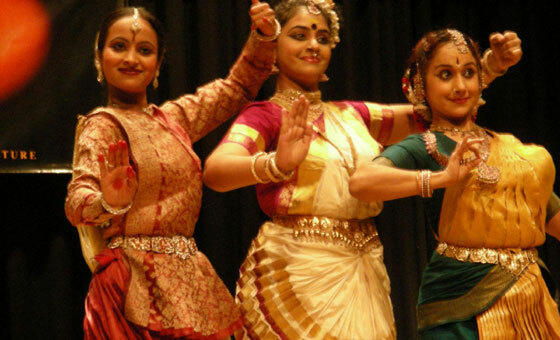 Besides these , there were three artists who performed the Kathak ,Mohiniyattom, and Kuchupudi dances . Uma Muralikrishna is the daughter in law of S.Janaki ,the Malyalam playback singer. Methil Devika is the niece of Methil Radhakrishnan, the writer and is doing her Doctorate in Mohiniyattom , is a judge in Star Wars programme of Kairali TVand is a good choreographer too. M. S. Lavannya is a well known saxophone player in India who has won several awards. Malamari Jayan has played tabla for hundreds of Malayalam film songs . Adichanallor Anil who plays also tabla, and ghatam besides mridangam , participates in Asia Net and Dhooradharsn TV programmes. He should sit in a manner that the audience see him using both hands on the mridangam. In Europe, they should not use CD background music for dancers in a concert. During the dances , a singer and the instrument players were sitting idle . A part of the proceeds of the programme was donated to an institution in Windish taking care of handicapped persons. Mr Peter Muller , the president of the foundation received the money from Mr. Mathew Thekottil, president of Keli. He thanked Keli association for this gesture and noted that the special music which was different from Western music. He was impressed by dances and music of the programme.Abraham Mathew , seretary of Keli welcomed the audience and George Naduvattathu gave a vote of thanks.